Have you ever looked at something and then realized that it could be made into something new? That is my life. I seriously will sit and stare at a jar or bottle for a while trying to find a new way to use it. Finding creative new uses for old bottles is something I get a kick out of. Okay, I’m fibbing. Finding new uses for anything is something I get a kick out of. I like to find ways to upcycle towels, new uses for old sheets, ways to upcycle empty milk jugs, and even new uses for (clean) kitty litter. In other words, upcycling projects is kind of my thing. What makes an upcycled project even better is when you can complete that craft for cheap. This means my second favorite thing is…Dollar Tree crafts! When you take an old jar and give it new life, you’re not only saving yourself money but you’re keeping things from hitting the landfill, they can be used when you’re looking for things to stop buying and start making at home and? Really cute home decor. This Dollar Tree craft is just like that. It’s incredibly easy to make, uses items that most people will have around their home and is super cute. In fact, it’s so easy to make that the kids can help too! What’s better than an upcycled project that the kids can help with too?! When you make this, you can use any jar that you want. Just be sure that you have completely cleaned and dried it as well as removed the label and any gunk from it. If you’re having trouble removing the sticky part, you can make homemade goo gone by mixing 1 part vegetable oil with 2 parts baking soda. Spread it on the sticky residue and let sit. It should wipe clean after a few minutes. Wash and dry like normal and your jar will be ready to go! If you don’t want to repurpose a jar, you can absolutely use a mason jar. It doesn’t really matter which you choose, but if you do decide to go with a mason jar, go with a pint sized mason jar instead of a quart. For the candlestick, you can pick it up at Dollar Tree cheap which makes this a true Dollar Tree craft! 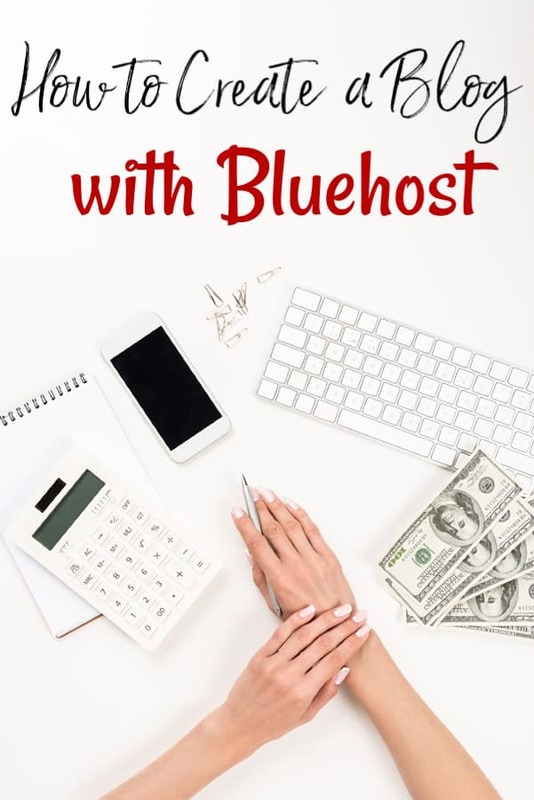 You can spend as much as you want or save as much as you want with it! 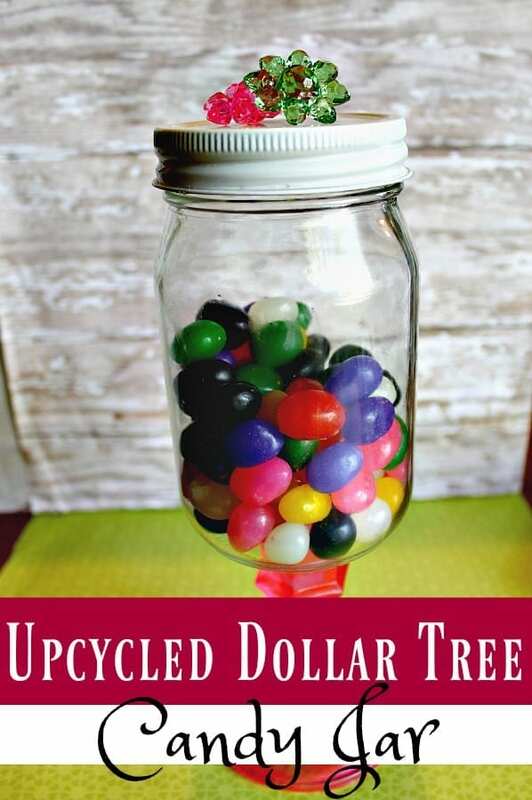 I have made this upcycled candy jar for as little as $2.00 before. If I’m giving it as a gift, I’ve spent a bit more, but you absolutely don’t have to. Empty glass jar – Clean and dry with label removed. To start, you’ll need to make up the paint color that you’ll be using. This has sort of a sea glass look to the bottom piece when it’s finished. Mix 1 Tbsp. water with ½ Tbsp. 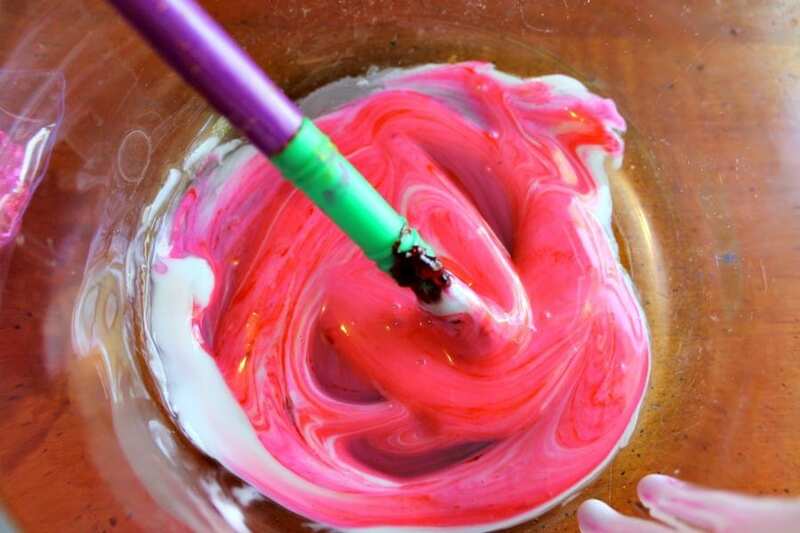 school Glue and stir in the food coloring until the color is as intense as you would like. Keep in mind that you’ll want to go a few shades darker than what you want your finished product to have since the paint will lighten up quite a bit as it dries. 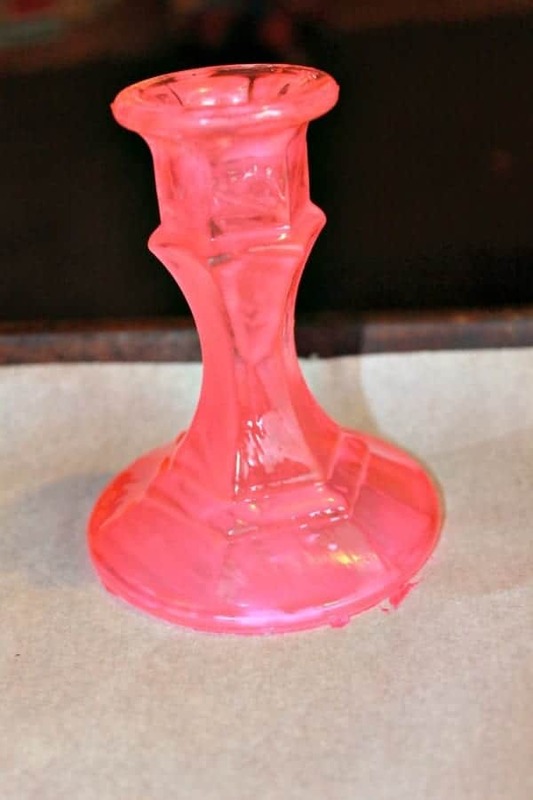 Next, lay something down to protect your workspace and paint the candlestick. You can use as many coats as you would like but be sure to let it dry most of the way between each one. You’ll also want to make sure that you smooth your paint out so that you don’t have huge globs of paint sitting everywhere. Once you’ve got it fully painted, turn your oven onto the very lowest setting it has and pre-heat. Line a cookie sheet with parchment paper to protect it from paint and place the candlestick onto the sheet. Once the oven is fully pre-heated, slide the cookie sheet onto the top rack and let the candlestick “bake” for 10-15 minutes to set the paint. 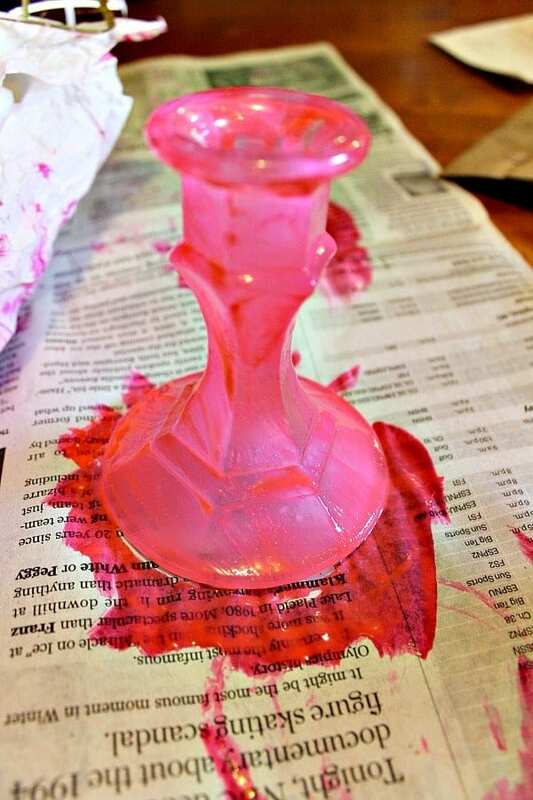 Once the paint is fully set, remove candlestick with a pot holder and let sit until it is cool to the touch. 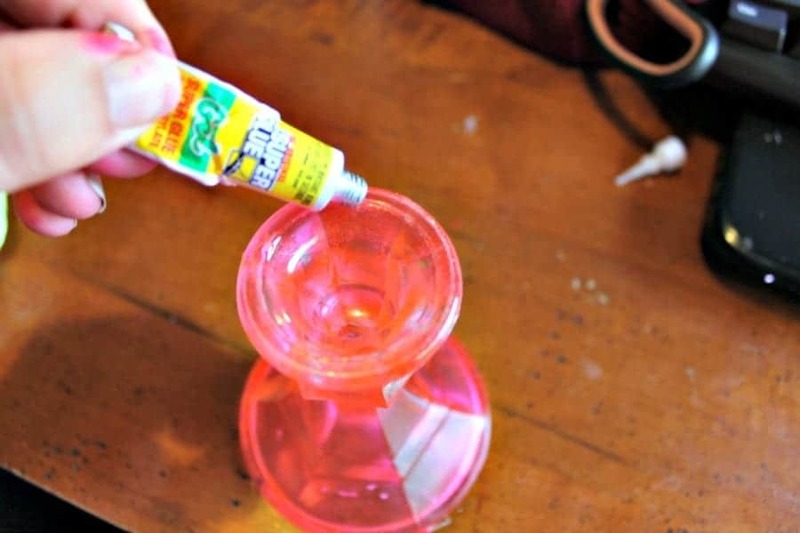 Using fine grit sandpaper, sand the top of candlestick so that the glue will stick a bit better then squeeze an even bead of super glue or e6000 glue around the top rim of the candlestick. 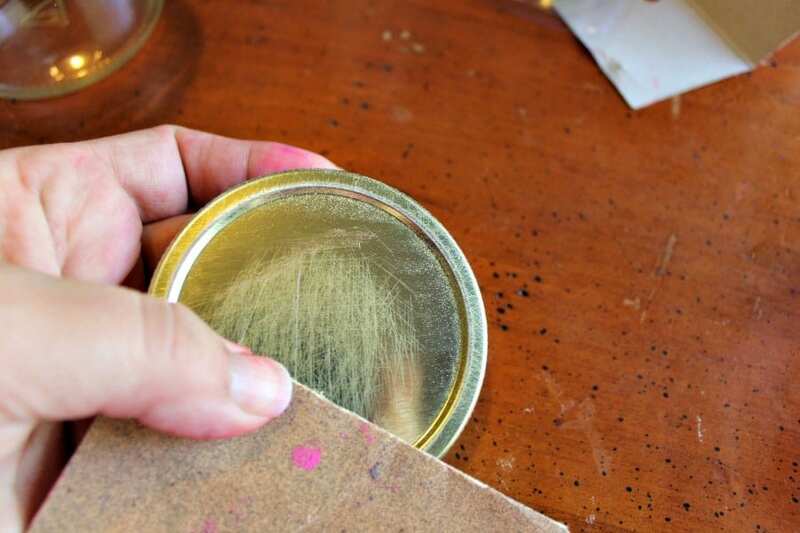 Next, sand and the top of your lid with a medium grain sandpaper to create a better surface for the spray paint to stick to. 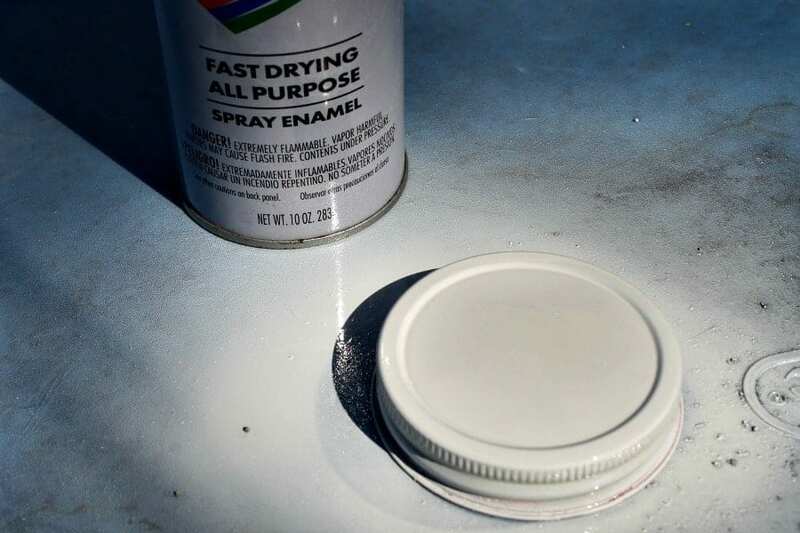 Now spray paint your lid with white spray paint. Be sure to let it dry completely and then give it a second coat to be sure that you’ve got an even coat. 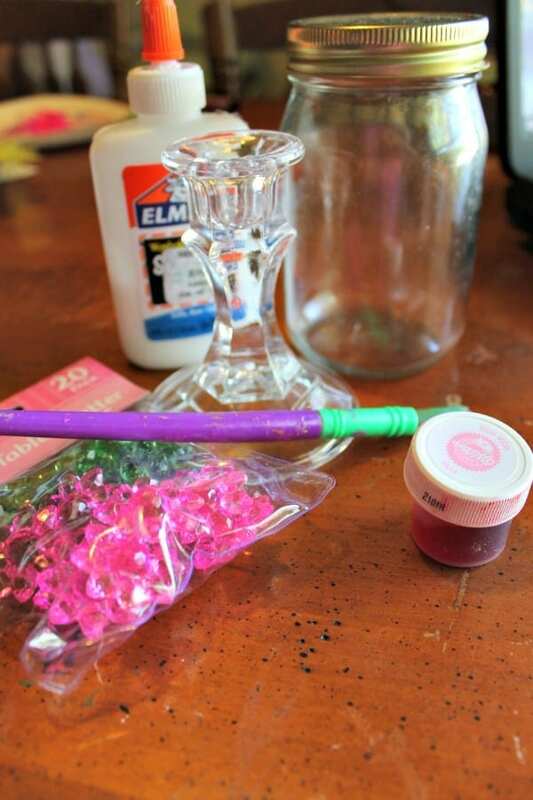 Glue 1 or 2 flowers to the top of the lid. I found a bag of pretty plastic table scatter at Dollar Tree that I thought made for a perfect accent, but you could also use a wooden knob, miniature Easter eggs, or even a small figurine to decorate. 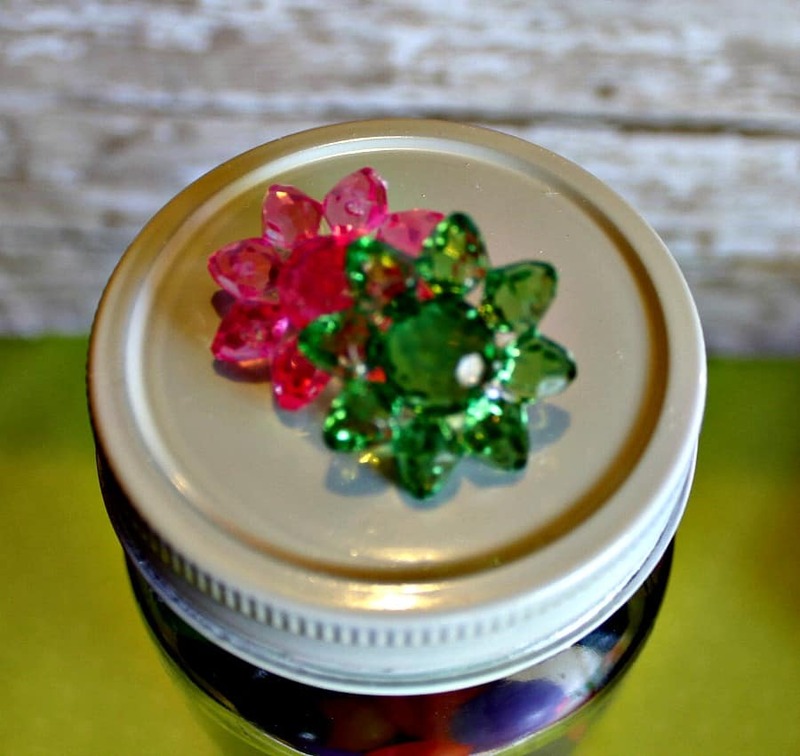 Once that is done, allow glue to set overnight, fill your upcycled candy jar and enjoy! See? Seems hard but isn’t! Craft ideas are so easy when you’re looking for them! It might seem hard to do but you just have to get creative and really start looking at things differently when you’re looking to do a Dollar Tree craft!